If you decide to change the paint in the printer, remember that not all paint replacement suitable for all models of printers. 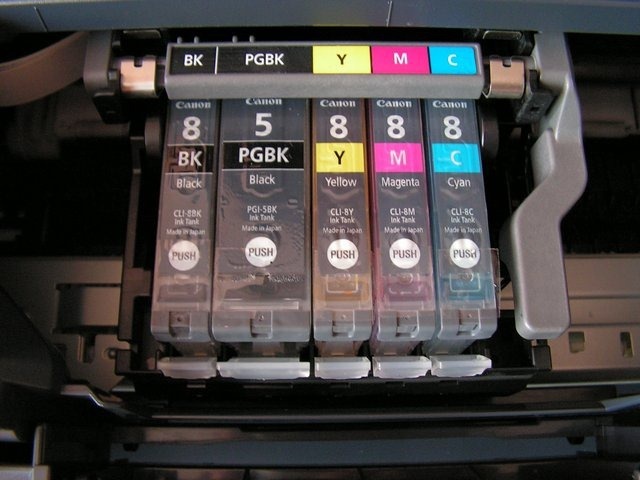 For example, some printers issued by the U.S. and Japanese firms, while trying to refill cartridges with regular paint from the syringe, begin to refuse to work, giving an error of the press. 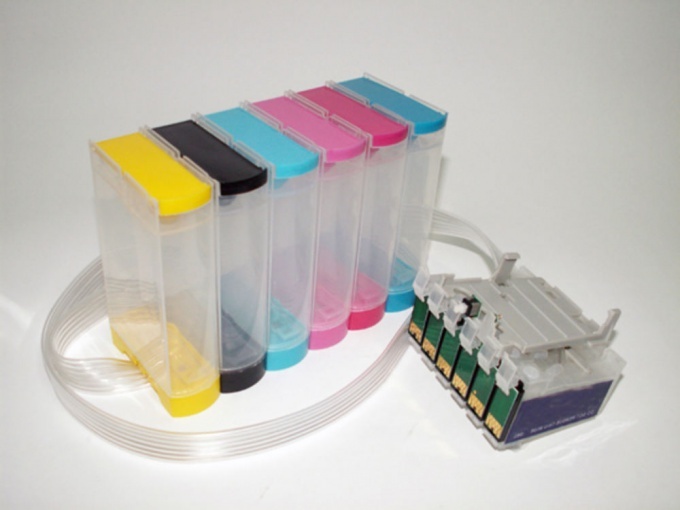 Therefore, you should familiarize yourself with some nuances of filling ink in the printer. For starters, turn off the printer. Make sure it is disconnected from the power supply, because if you accidentally start it during the replacement of paint, parts of the device can be damaged that will lead to further damage of the whole Assembly. Set up your work space: you will need several sheets of newspaper, and preferably more, as the paint absorbed well and does not wash off. If the room has white flooring, you are strongly recommended to perform this operation in a different room, so like 10 Newspapers didn't have to save in case of emergency, for example, a spilled bottle of paint. In addition to the newspaper required a syringe, you can use the most common, there are large specialized, rag and solvent. Replace best disposable gloves, if you have no desire to wash week hands, or the whole evening spent scrubbing stains with a solvent. According to the manual of your printer, remove the cartridges from the paint. As a rule, this instruction can be found either on the box from the printer, either directly to the rear side of the lid. 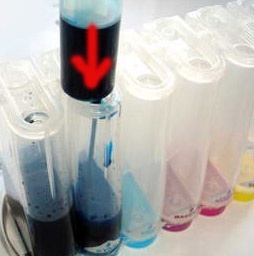 After the cartridge is removed, fill the syringe with the required paint. Under each color it is best to have your own, as in this case, the paint is not mixed. Accurately log in to special plug of the cartridge with a syringe, or open it, if your model has the opportunity. Pour the paint very slowly, as the slightest spilled drops will give you a lot of inconvenience. As soon as the paint you're inside, you can install the cartridge.